Cost to create your own website with Joomla 3.0 Template Metropolis is less than $100. I know the Beez3 Joomla 3.0 template is free but why stick with an ordinary theme with only 14 module positions? If you create a website with Metropolis RocketTheme you have over 70 module positions and RocketThemes’ coolest extension that is built to work with the responsive layout and support mobile events such as ‘swipe’. There are also 10 different colour schemes to choose from. There are tons more features. Click here to see more features of Metropolis. 2. 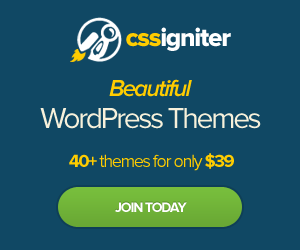 $0 for Joomla 3.0. Joomla 3.0 is an open source CMS and totally free. You can download Joomla 3.0 from joomla.org. To install you will have to do it manually but RocketThemes provides extensive documentation and support on how to do this. 3. $50 for Joomla 3.0 Template. 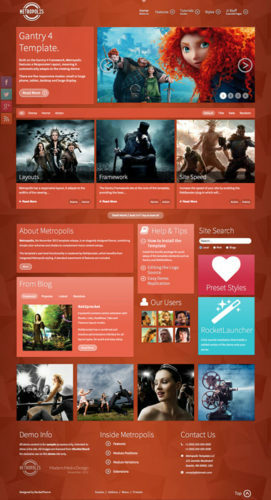 This is a one time fee to purchase Metropolis Joomla 3.0 Template. You will have unlimited access to their support forum for sixty days. After your membership expires your Joomla 3.0 template still belongs to you. There are no hidden fees or subscriptions fees. Basically you don’t pay any startup costs to create your own Responsive Joomla 3.0 Website. I think this is a great deal. This is a flexible and versatile Joomla 3.0 Template. It has great features such as the responsive theme design and the cool swipe feature. You should demo the Joomla 3.0 Template with your iPhone or tablet to see the ‘swipe’ feature in action.